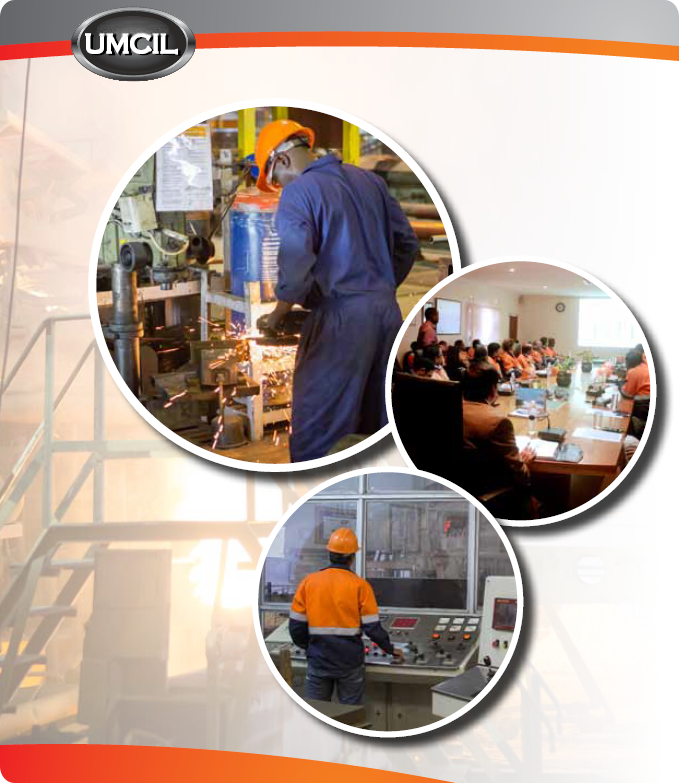 To be the best company in the world - in the eyes of our customers, shareholders, communities and people and to emerge from the position of domestic leader to preferred Steel supplier in Sub-Saharan Africa by adopting best practices from mine to market with due care to environmental and social sustenance. To build unrivaled partnerships with and value for our customers, through the knowledge, innovation, quality workmanship, and dedication of our people, leading to superior results for our shareholders. RESILIENCE reflects our determination, commitment and perseverance in carrying out the IISP (Integrated Iron & Steel Plant) Project despite the odds in starting. RELIABILITY of steel products UMCIL manufactures underlines the company sense of responsibility for providing quality services and steel products when required and to the satisfaction of our stakeholders.